I’m writing to let you know that after 2.5 years of trying, I’m now expecting!! I’m so excited and I truly believe your products helped. 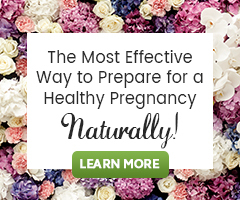 My ovulation became normalized while using Tribulus and Royal Jelly, which I started this past May 2016. I also took Black Cohosh from another site along with it to get my periods to 28 days after having 3 years of 35-40 days after being on the pill for way too long, throwing off my cycle. That, with maybe getting the HSG test, which cleared the way, I’m now 7 weeks pregnant. Although early, I can’t help but share!! I’m currently 35 weeks +2 and baby is doing wonderful! Still can’t believe this is happening and I feel incredibly blessed to have started this journey with your products!! Thank you!! 38 y/o momma!! Today she wanted to share with others the details of her journey to parenthood and her son Henry. We hope this offers you hope and ignites within you the drive to keep trying! Prior to utilizing your products, I had been put on bioidentical hormones for a number of years which didn’t make a huge shift in my hormones, specifically my progesterone. This may have been due to my chronically high cortisol as I was fighting an uphill battle due to my own stresses (work and a hx of an eating disorder which I have successfully overcome!). In 2014, I tried different products including Vitex (from another company), Royal Jelly, Red Raspberry leaf tea and Maca with minimal changes in my cycle. Around this same time, I did begin to shift my exercise routine to more yoga, weight lifting and less excessive cardio. I joined a group called Flo Loving and started following their program. I implemented Acupuncture for stress and fertility. All of this helped, but I was not ovulating regularly per the test strips, fertility monitors and charting my temperature. After doing some research, I decided to continue with the use of Royal Jelly (from your website [Natural Fertility Shop]), but started a different regimen. I decided to look up a natural alternative to Clomid, as I’ve read and heard about the side effects of this medication and personally, had been on the pill for so long (doctors kept giving me this to “keep my period”) that I didn’t want to take more medication at that point. Through your website, I learned about an herb called Tribulus. I was to take this for no more than 6 months just after my period up to day 14. I also implemented Black Cohosh (from another company) to normalize my periods. ***Your website was incredibly valuable throughout it all!! My first month (May 2016) my periods went from the typical irregular patterns of 39-42 days down to 32. I experienced ovulation immediately per the fertility monitor and a significant increase in cervical discharge!!! In June, my period was at 30 days and July 28 days. Being I wasn’t pregnant yet, I went to get assessed for the first time by a reproductive endocrinologist just to make sure my husband and I had good working parts and hormonal balance per their tests (fertility treatment wasn’t covered, only the testing, by my insurance so I was determined to continue my journey of natural fertility). For the first time in three years, as I had not been tested since we first started trying, my hormones were normal!!! I had the HSG test at the end of July 2016 and was pregnant that next week although didn’t realize it until I was 6 weeks pregnant. I personally thought my periods we’re going irregular again. Not this time!! 3 pregnancy tests confirmed it for me :). I would truly say that being patient with your body, keeping up with self-care (massage, manicures, fun things), and good nutrition (great food and supplements) helped me get through it all. I would highly recommend the books Women Code by Alissa Vitti and Women’s Bodies Women’s Wisdom by Christen Northrup. They were helpful in healing and moving through amazing journey!! My baby boy was born on his due date, May 5, 2017 at 4:04 pm! He weighed in at 6#11oz, 20.5 inches. Vaginal birth without any complications!! We are doing great and Baby Henry is growing like crazy!! He’s right around 9# (8 weeks)! Still adjusting to him and his lifestyle/sleep schedule. I feel blessed every day to look at this beautiful miracle my husband and I created! !